Payam Mark Shayani has devoted his life to working with clients that are wrongly denied the compensation they deserve. In cases of personal injury, catastrophic injury claims, and work-related injuries, Mark Shayani secured his clients millions of dollars in injury compensation. 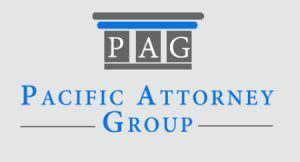 After graduating from the University of Texas School of Law, Mark teamed up with other passionate attorneys to establish the Pacific Attorney Group, a team of lawyers fighting injustice in personal injury cases. To better connect with his clients and to understand their pain, he attended classes at the University of Texas School of Medicine. After attaining his degree in 2000, Mark renewed his crusade against injustice with untiring vigor. Working tirelessly for his clients, Mark always offered a helping hand to those that suffered at the hands of carelessness and inaction. Mark’s passionate heart and a cunning mind always provide his clients a lift in their most troubled hour. *Payam Mark Shayani is a full-time practicing attorney in the State of California, does not practice Medicine, and does not hold a California medical license. Admitted to Practice Law in the State of California. Call 1-800-358-9617 for any personal injury matter.